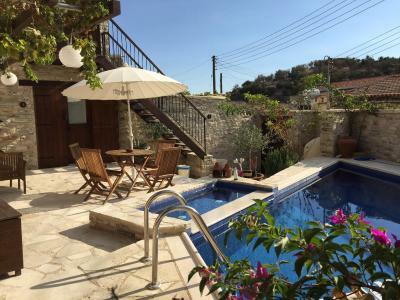 Lock in a great price for Palatakia - rated 9.3 by recent guests. The place is so beautiful warm very clean traditional yet modern , the hosts are excellent and the atmosphere is cozy friendly and homey! Amazing service and very thoughtful touches everywhere! I am definitely returning there soon! Great location for a quiet and relaxing vacation. The staff is amazing and so helpful! Modern design and quite relaxing atmosphere of whole place. For access to this village in the mountains you will need a car. In the hotel area are friendly cats and dog. Very quiet village with friendly locals. Very clean, modern and cozy hotel. A very good place if you want to rest and get away from your daily routine. Breakfast was great and so much choice. All fresh. The spice cake was something special The rooms were great and laid out well with everything you need. Kai did a great evening meal choice. Never the same menu for every night there. Really enjoyable. A real home from home where the who team there wanted to make your stay special. Like visiting a lovely family. The people were great. Offering fantastic places to visit. Evening food cooked by Kai was the best. Breakfast set you up for the day everything and more. The place lived up to all the photos and writings on it. Do need a car that can drive up mountains but the views are more than worth all the effort and 2nd gear. Bed sooo comfy and everything so clean! beautiful design...Absolutely LOVED everything about it! 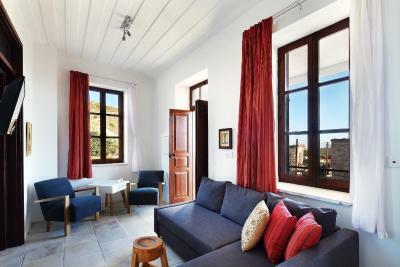 Housed in a 300-year old building, Palatakia combines traditional architecture with modern facilities. It is located in Kato Drys with several monuments to visit and offers a seasonal outdoor swimming pool, a restaurant and a bar. Free Wi-Fi is available throughout. 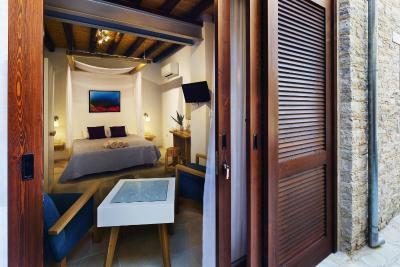 Traditionally decorated with beamed ceilings and marble floors, the rooms, suites and studios at Palatakia will provide you with a flat-screen TV, a fridge and air conditioning. Some units include a fully equipped kitchenette with a microwave and oven. 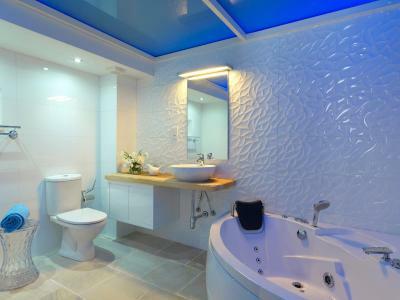 A spa bath is available in some units, while a fireplace is provided in others. 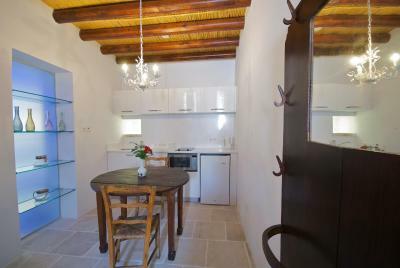 At Palatakia you will find a laundry facilities and a shared kitchen. An array of activities can be enjoyed on site or in the surroundings, including cycling and hiking. The property offers free parking. The property lies 15.5 miles away from Governor’s Beach and 24.9 miles from the international airport of Larnaca. A restaurant and café can be found within 350 yards. 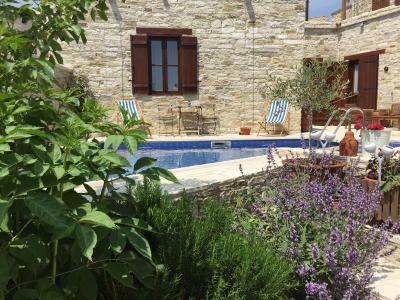 Palatakia has been welcoming Booking.com guests since 21 Mar 2014. 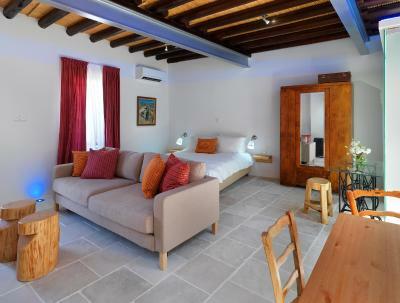 When would you like to stay at Palatakia? 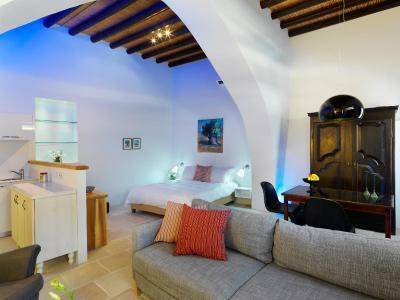 Fitted with a fireplace, this studio is traditionally decorated with an arch, marble floor and beamed ceiling. It has a fully equipped kitchenette, flat-screen TV and air conditioning. Traditionally decorated studio with marble floor and beamed ceiling. It comes with a fully equipped kitchenette, flat-screen TV, air conditioning and shower cabin. 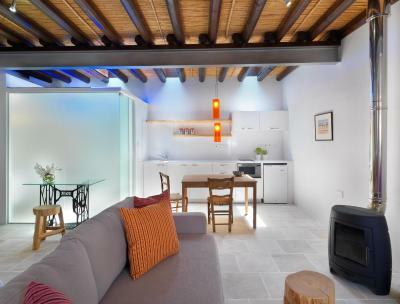 Featuring a spa bath, this studio is traditionally decorated with beamed ceilings and marble floor. 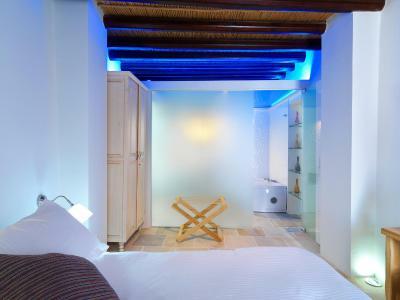 It has a fully equipped kitchenette, flat-screen TV and air conditioning. This suite features a soundproofing, fireplace and tile/marble floor. House rules Palatakia takes special requests - add in the next step! Palatakia accepts these cards and reserves the right to temporarily hold an amount prior to arrival. Please inform Palatakia in advance of your expected arrival time. You can use the Special Requests box when booking, or contact the property directly with the contact details provided in your confirmation. The room that we were given was too small. You have to book and pay always in advance for a nice bigger room. Two rooms are just basic with no fireplace, not very comfortable bed and if it is winter you cannot use the swimming pool as well. So basically you have nothing to do. Also, some cats enter your room especially during night when you try to enter your room. If you like cats thats ok but not if you have any allergies. Kato Drys does not offer many things to do especially if it is raining. For just a basic room during winter with no swimming pool and no fireplace it is not worth it. 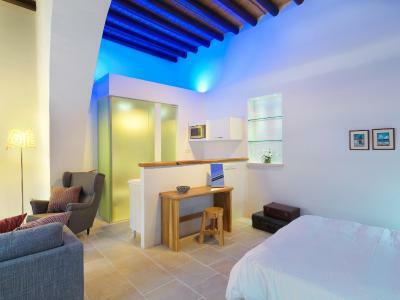 very comfortable place combining tradition with luxury Loved the idea with the "private pool"
We were accomadated in the room number 10 with amazing desing but located on the ground floor without window. The only day light comes through small window on the entrance door which is not enough. Personally I would not recommend this room as we could feel humidity at the night. Breakfast was a bit overpriced. There was noise from the other people inside the hotel and also from the above floor. That was not the fault of the management though. The jacuzzi was not comfortable for shower. It was very slippery. Great place, good location (to those who are looking for a quite vacation). In fact if you have a car there is no problem to visit all other tourist places on Cyprus. All is pretty close. Our advise is to try a local restaurant at the hotel. We tried it only once at the end of our stay and regret that did not try more. The staff is great. We even received a dinner at 11PM upon arrival. The village is very clean and beautiful.